Today I taught the lovely “Yuliia” from Ukraine, how to build a site for her boss – Freelance Shipping in Sydney. Yuliia is a graphic designer who wanted to learn how to build sites for clients in WordPress to advanced her design skills. She picked up WordPress very easily and managed to build this site in a few weeks. Yuliia built this site after doing our 1-day course – Build your own WordPress Website. Yuliia chose the WordPress theme/design she wanted before we did the training from themeforest.net. This is a responsive theme that has inbuilt features specifically for a shipping company. Yuliia had her own hosting server. So the first thing we did was set up a test site for Freelance Shipping. Set up and configure the WordPress software. Set up a unique email for the website and how to add it to her phone via cPanel. How to set up global settings of the website including time and date. How to create Google-friendly and user-friendly links (Urls/Permalinks). How to create a home and blog page. How to create different homepage layouts using the page builder plugin. Set up social Media icons both follow and share. To use a blog to attract more visitors. 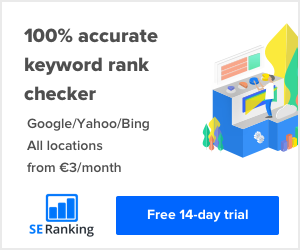 Search engine optimisation (SEO) for WordPress with an SEO plugin. Where to research keywords from. Format text with headings for SEO – search engine optimisation. Yuliia went away from the course and set up the Freelance Shipping website. We then had 2 Skype sessions after the WordPress training to fine-tune the website. This was done by Yuliia sharing her screen with the trainer to show them what she needed help with. Including; adding a little CSS code to hide a few words displaying in the footer of the site and to tweak the colour of the header. Other than that Yuliia managed to complete the website entirely on her own with the training we completed in the course. I’m sure Yuliia won’t have a problem, continuing to build and create websites built with WordPress.